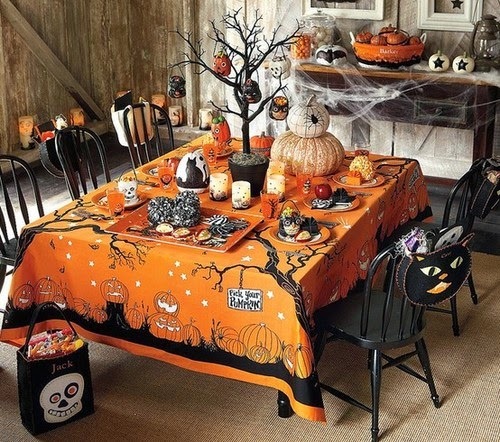 Start the Halloween preparation party with a detailed and complex checklist. On one side, you will be faster in throwing the event. On the other hand, you can always make it quicker to sanitize the Halloween pranks by using the checklist back to front. Make for your kids the costumes that they want with one condition – they must help you in after party tidying up! It is always good to have assistance in a deep one off cleaning after an occasion at home! Watch out with the pumpkin! Yes, it is the symbol of Halloween, however it is also a super enemy for your upholstery, carpets and domestic environment at all. Act smartly and don’t go too far with the pumpkin decoration. For example, instead of cutting the entire pumpkin and spreading stains all over your house, use an intact pumpkin and decorate its peel with materials at hand. You can even cook it after the holiday! Another idea is to slice the pumpkin and make some candy sticks with scary faces! In order to avoid kid’s mischief, equip yourself with the most delicious sweets and don’t even think to miss a single knock or ringing on your door. Otherwise, eggs will be thrown on your windows and you will have a big chore to embark later. Accidents though happen, and you can remove the eggs with ordinary white vinegar. A Halloween isn’t a real Halloween without darkness and mystical flickering of candles. Candle wax, as you know, is a nasty problem for furniture and textiles. You can easily get rid of it with ice cubes or via scrubbing with a knife gently! Just keep in mind that there’s no party if there’s no mess! So, don’t get sour, if some spots and dirtiness are left behind the Halloween celebration! This is what Halloween is about!